1. The Personal Computer. 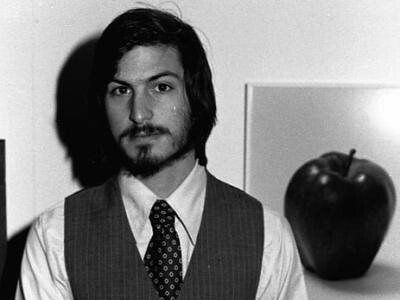 So many things we take for granted in our computing life came from Apple under Steve Jobs. While Apple didn’t make the first personal computer, they were the first to make them useable by non-engineers and non-programmers. Things like icons and menus began under Apple. Before the mouse, people entered text into a command line to navigate…well there was nothing to navigate. The color screen? Apple. Listening to sound and inputing sound? Peripherals that plugged and played? That was Apple too. If you’re not a native English speaker, Apple was the first to support languages other than English. 2. The Laptop. Another Apple first. Liberating the computer from the desk enabled me to unplug and be creative anywhere. 3. Desktop Publishing. Before the Mac, Pagemaker, and home printers (yup Apple was first there too), we needed expensive equipment to publish. Apple democratized publishing and singlehandedly created a whole new industry of independent layout jockeys. I remember spending hours working on my high school newspaper, from writing to page design on those tiny green-screen Macs. 4. Photo Editing. With the explosion of digital cameras, Apple made it easy to organize, manipulate and edit photos on iPhoto, actions that formerly took expensive darkroom equipment as well as toxic photo development chemicals. Now with free apps on the iPhone I can apply filters and affects that used to require spendy camera lenses. 5. Mixing and Recording Music. I remember as a teenager using four-tracks to meticulously record and try to synchronize tracks into a song. For more sophisticated recordings, we needed extremely bulky and again, costly, equipment to mix the music. Now I can do all that through my Mac with a very easy to use Garageband and a decent microphone. Heck I can do all that on my iPhone now. That blows my mind. 6. The Instant Mixtape. We romanticize the Age of Mixtapes. But I remember spending endless hours putting together mixtapes, carefully fading songs in and out, putting them in just the right order and calculating how many more songs would fit on one side. There’s really no charm in that process. Now on iTunes, I just click and drag songs into some order and then change it any time. Just like that. It’s so commonplace now, and you may bemoan the good old days. But look. The reason I spent those hours making mixtapes was to listen to the music, not to fumble around with technology. Steve Jobs got the technology out of my way and let me just listen to the songs. 7. Getting Music. As a corollary, I can get just about any song no matter how obscure through the iTunes Music Store. It stemmed the tide of people downloading music illegally and probably saved the music industry, even as it quickened the demise of brick and mortar music stores. I do miss flipping through used records and CDs. There was a charm to that. But now I can discover more kinds of music that I couldn’t before. 8. Podcasts. I find myself listening more to podcasts than I do to music these days. It’s an endless supply of free content that anyone can make and share with the world. It’s one of the most democratic forms of new media. 9. Movies and DVDs. The most popular gifts I’ve given are DVDs I’ve made of my friends’ and family’s special events. I can edit videos with ease and make slideshows with songs from my iTunes and put it all together in beautiful templates. The Youtube revolution was fueled by amateur filmmakers like me. 10. Beautiful Human-Centered Design. Steve Jobs showed that technology doesn’t have to be a cold, intimidating and incomprehensible dystopia. It can be pleasingly beautiful and inspire creativity. It can both assist you and get out of the way. And it’s been a pleasure to have Apple help me express myself in so many ways. Thank you Steve Jobs for your unrelenting belief in the role of technology in the service of humanity. Thank you for your faith in the creative process.